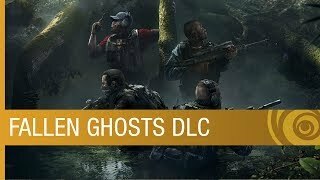 2/26/2019: Face off against waves of enemies in the Guerilla Mode or knock out your Ghost War opponents with the Sapper class. 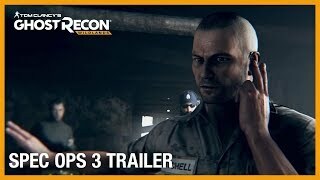 12/10/2018: Scott Mitchell is back. 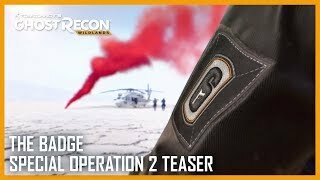 12/6/2018: Special Operation 3 introduces a new PvE mission, new PvP maps and classes, a new Photo Mode, and improvements to the Prestige Economy. 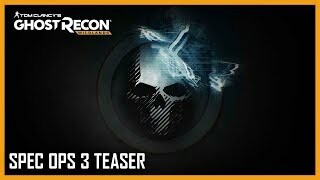 7/23/2018: The Rainbow Six Siege Operator Caveira has gone missing. 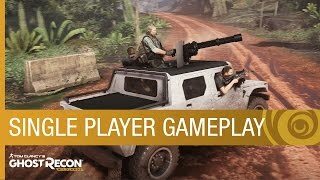 Valkyrie, a longtime friend of Karen Bowman, has tracked her down to Bolivia. 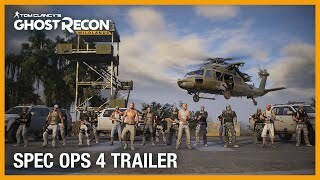 With the help of Twitch, the Ghosts will follow a trail of clues, to learn more about why Caveira is in Bolivia, and also about her troubled past. 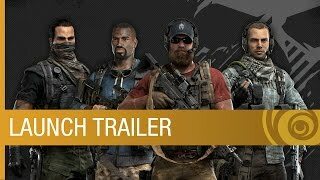 7/20/2018: The full trailer reveal of the newest special operation in Ghost Recon Wildlands. 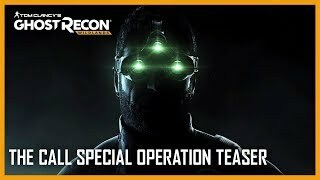 4/9/2018: Help the Ghosts help Sam Fisher complete his mission in a special Splinter Cell Operation. 4/6/2018: When duty calls, he answers. 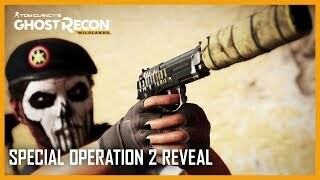 4/3/2018: Four free Special Operations updates are coming to Wildlands in Year 2. 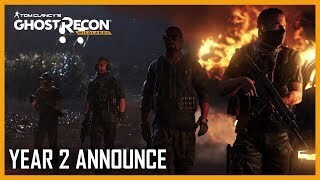 1/24/2018: Extended Ops includes a new mode, Extraction, and new maps. 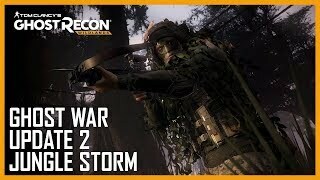 12/8/2017: The Jungle Storm update adds ranked gameplay, the new Pathfinder class, and new maps for the elimination and uplink game modes. 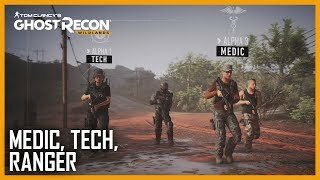 9/28/2017: Introducing the Ghost War PVP classes Medic, Tech, and Ranger. 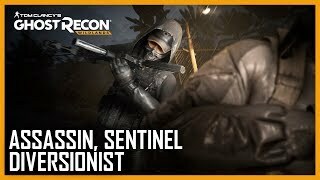 9/27/2017: Introducing the Ghost War PVP classes Assassin, Sentinel, and Diversionist. 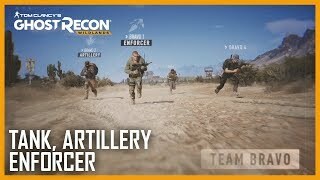 9/19/2017: Introducing the Ghost War PVP classes Tank, Enforcer, and Artillery. 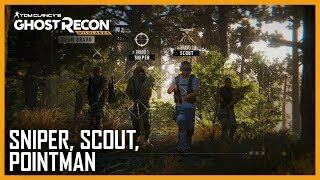 9/13/2017: Introducing the Ghost War PVP classes Sniper, Scout, and Pointman. 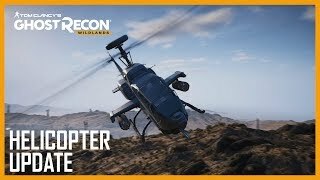 7/21/2017: Title Update 6 improves the game's helicopter controls. 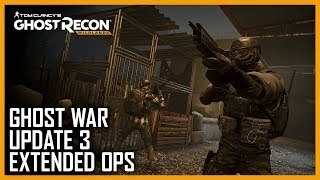 5/30/2017: With Unidad's military force unable to maintain control over Bolivia, the country is in a state of civil war. 4/18/2017: Infiltrate three gangs of smugglers led by the elusive El Invisible. 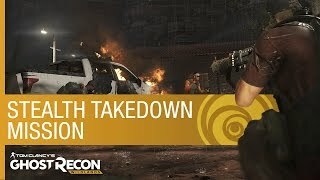 3/6/2017: Take down the Santa Blanca drug cartel by any means necessary. 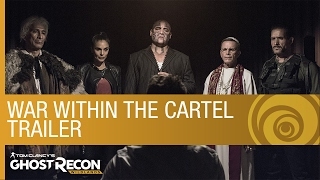 2/6/2017: The inner workings of the Santa Blanca drug cartel, controlled by the revered yet ruthless leader, El Sueno. 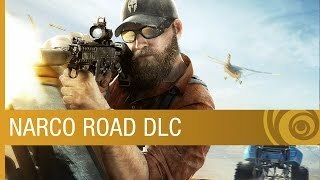 1/20/2017: A glimpse at Ghost Recon Wildlands gameplay with 3 AI teammates. 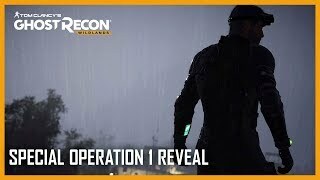 10/3/2016: This gameplay walkthrough demonstrates completing a mission using the stealth approach. 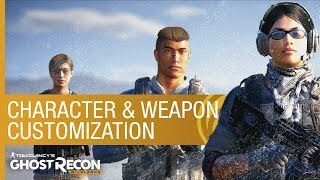 8/17/2016: How you can customize your character's appearance and gear, and use the Gunsmith to craft weapons to take on any enemy in any environment. 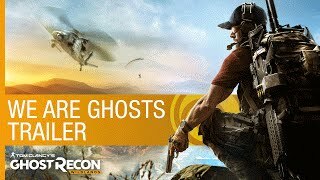 5/26/2016: See how the Ghosts take on an open world.